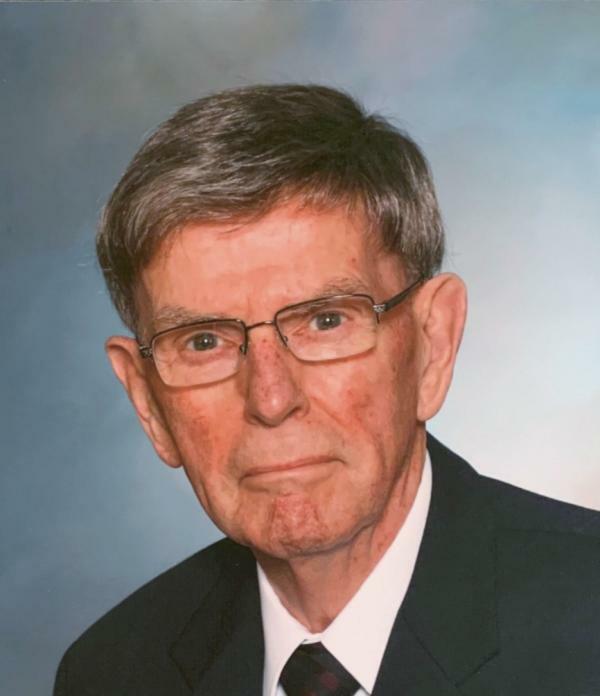 It is with heavy hearts that we the family announce the passing of Kenny MacQueen, 88 years old, on January 3, 2019 at the QE11 Health Sciences Centre. Born in Sydney, he was the son of the late William and Pearl MacQueen. Kenny worked in the car parts business for many years in Sydney. At the time of his retirement, he was employed with the provincial government in the Goods and Services Tax Division. Following retirement, he joined the staff of T.W. Curry Parkview Chapel as a funeral attendant. Kenny was well respected by those who came to know him and had a memorable impact on the lives of many people. He loved making new acquaintances, usually engaging them in conversation with a joke or two. He was well known in the Sydney skating community and made many lifetime friends through his love for skating. Kenny is survived by his loving wife of 68 years, Rita (Boudreau) MacQueen; sons, Gregory (Liz), Ottawa, ON, Paul (Cheryl), Victoria, BC; daughters, Denise (Peter Lawson) Bell, Halifax, NS, Janet (Peter) MacKinnon, Truro, NS; brother, Roger MacQueen, Sydney; grandchildren, Kenzie MacKinnon, Erin and Kaylee MacQueen, and Grace MacQueen. Besides his parents, Kenny was predeceased by his brothers, Norman and Hugh. Cremation has taken place. There will be no visitation or service by request. Internment will take place at a later date in Resurrection Cemetery, Sydney Forks. Donations in Kenny’s memory may be made to the Heart and Stroke Foundation.